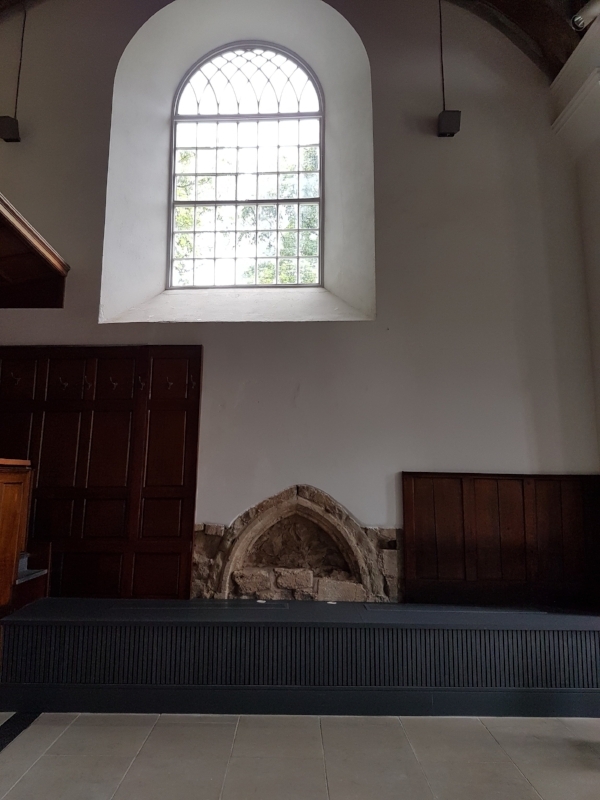 The dais would have been located in what we now call the Civil Court, underneath the large window near the magistrates area. The dais (a raised platform or stage) is where the noble men and women would have feasted in the Great Hall. From this vantage point they would have enjoyed magnificent banquets, illuminated by the elegant window overhead. This makes the dais a focal point to illustrate the status of those who occupy it. The large window you can see today dates from 1821, but it is believed it replaces an original window of similar size. The lord’s family and guests would have slept in the great chamber, which was a private space accessed from a staircase just behind the dais. Listen to a short interview with Richard Buckley, (lead archaeologist at the University of Leicester) who describes the dais at the Great Hall.